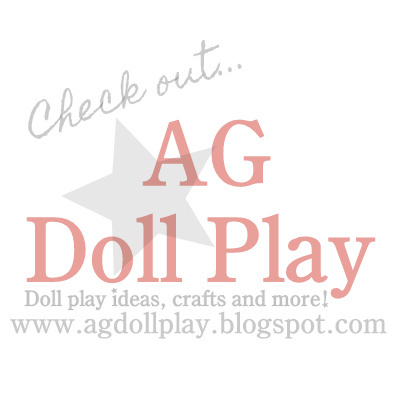 American Girl Doll Play: Make Your Own Place Setting for a Valentines Day Party! Make Your Own Place Setting for a Valentines Day Party! These cute little plates were made from left over Valentine's Day cards that I found at the dollar store! I just cut the front off the card and that became the place mat! To make the little plate, I cut a circle from the back of the cards, placed it on a towel and pressed a small glass into the center. This caused the edges to curve up, and made great little plates! If you want, you could always use red and pink card-stock for this! To make the napkin, I took a party napkin, cut it into 4 pieces, rolled them and glued a strip of paper around it for the napkin ring! These little cups were 50 cents each at the dollar store! Now we are ready for our Valentine's Day celebration!